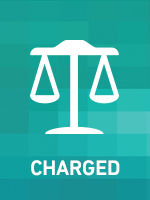 A 41 year old man from Innaloo has been charged with 5 x Fraud. Thanks for the many reports received in relation to this case! Around 12.30pm on Wednesday 30 January 2019, entry was gained to a vehicle parked on Crocker Road in Innaloo. A wallet containing two credit cards was taken from inside the car. Within a few minutes of the stealing, one of the cards were used to fraudulently purchase several items from nearby shops including cigarettes and alcohol. The man is described as: Light skinned, 20-30 years of age, medium build, long brown hair tied back and a full beard and moustache. He was wearing a black ‘Pink Floyd’ t-shirt and sunglasses. He has a half sleeve tattoo on his right forearm. If you have any information about the identity of this man or details of this offence please contact Crime Stoppers on 1800 333 000 or report online at www.crimestopperswa.com.au. You can remain anonymous if you wish and rewards are available once charges are laid. Please quote Reference Number 9151.